Join me on Friday 27 July for look at three brides in early America-- Martha Custis Washington, Elizabeth Bull Price, and Dorothy Hancock Scott -- and what their choice of finery revealed about their self-fashioning. Held at the Wentworth Lear Historic Houses in Portsmouth, New Hampshire, the lecture begins at 6 o’clock. 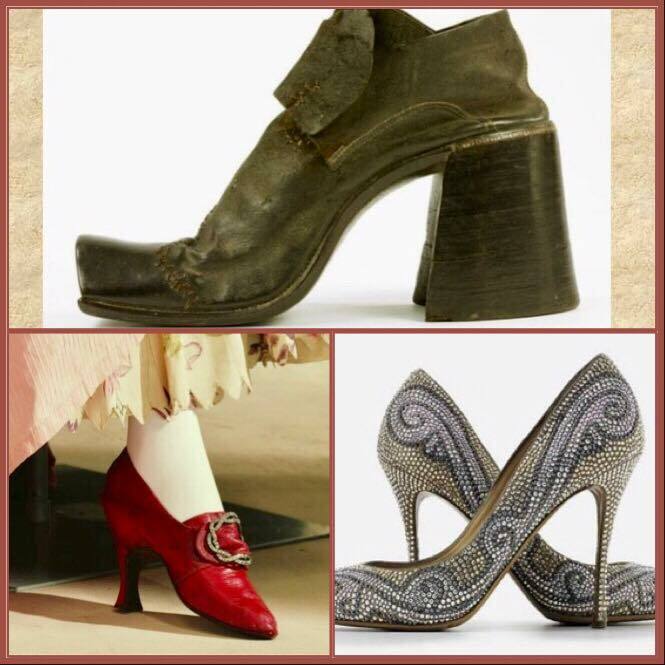 And on Sunday, July 30 from 2:00-4:00, join me for a lighthearted look at the history of the high-heeled shoe at the Newmarket Town Hall. The Newmarket Historical Society annual tea will feature sweet and savory delights, a chance to wear your favorite kicks on our red carpet, and the opportunity to donate new and gently used shoes to Prominence, a program for area teens so they can attend their Proms. Tickets are 10.00 for members and 15.00 for non-members.